About a week ago, I posted a couple of recently unearthed Disney pins that I found when I was cleaning out my office closet. Here's another one that I'm posting mostly because based on the edges and back imprint, this is almost certainly NOT a scrapper. 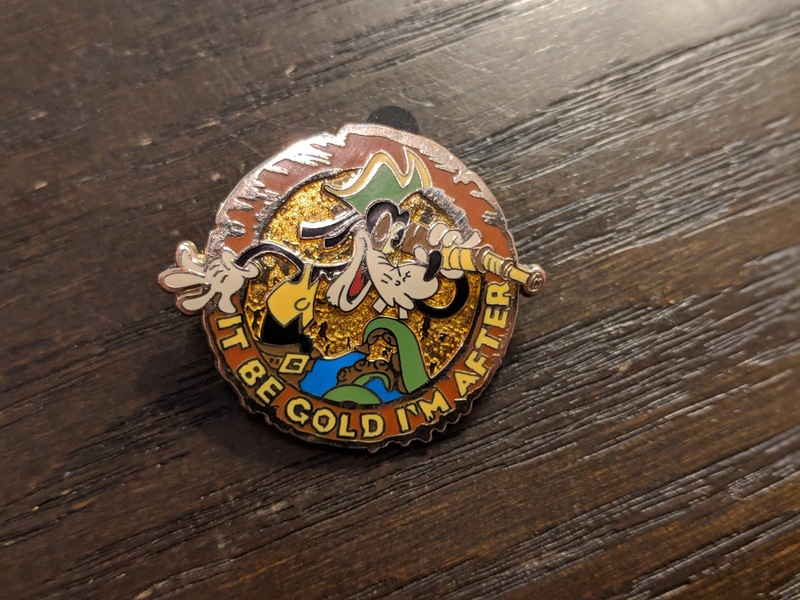 Featuring Pirate Goofy and a line from the ride Pirates of the Caribbean, this one too is going up on the pin board in the garage.